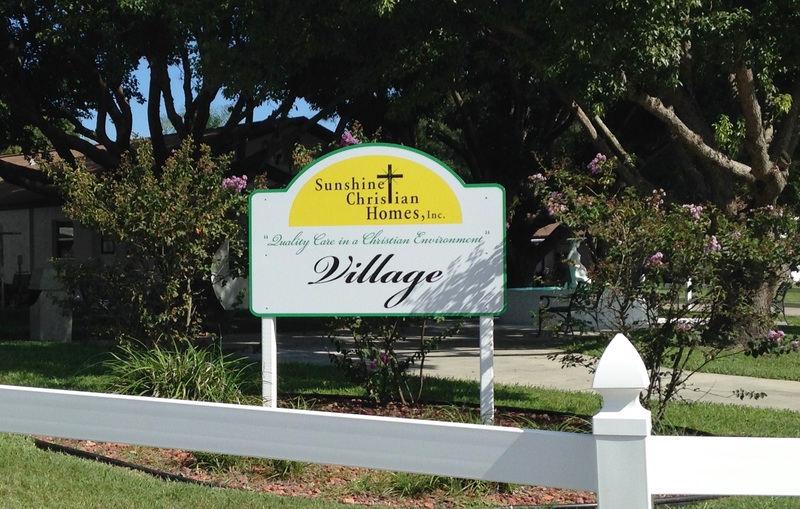 Sunshine Christian Homes, Inc. offers a secure independent living lifestyle at an affordable cost. Our Christian Retirement Village is nestled on 12 landscaped acres, in the relaxing area of Holiday Florida, just a few miles from the Gulf of Mexico. 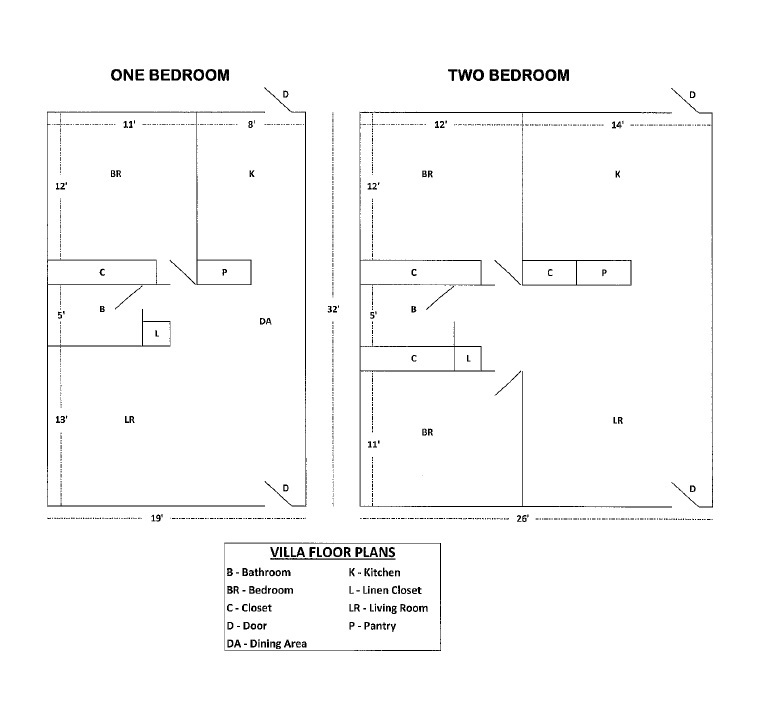 There are 86 villas, 24-one bedroom and 62-two bedroom units (see below for floor plans). Our villas are a unique and interesting place for those who desire to continue to live independently, but no longer want the work and expense of owning and maintaining a home. What makes us unique is that we offer something most have never heard of, a Life-Use-Lease. Life-use-lease is made available to qualified people who are sixty-two (62) years or older. The lease arrangement means: The resident lives in the villa until death or until unable to live there safely and independently. In the case of couples, until the last one dies or is unable to live safely and independently. While this agreement is for life, it is not a deed and gives no interest or part interest in the real estate or property owned by the Home. Further, the occupancy rights shall not extend to the use or benefit of their heirs, assignees, or representatives of the villa resident. There are certain conditions described in this lease agreement contract whereby either the Village Resident or the Home can cancel it. When this is done, all money paid on the contract, by the Village Resident to the Home is returned - less a charge rate of (30%) thirty percent of the total paid, or one percent per month, whichever would be greater at the time the villa is relinquished. To secure a villa requires the completion of the admission form, the contract, and the payment of the total cost of the apartment prior to occupancy. In addition to the initial cost, a monthly maintenance fee is assessed. The maintenance fee covers insurance on the building, sewerage, water service, garbage removal, use of attached laundry facility, taxes, needed transportation, Basic Cable, repair or replacement of appliances and maintenance of the building and grounds. Residents will complete the decor with their own furnishings. For those who cannot afford the larger up-front payment, we offer other low cost plans. Maintenance Fee includes: pest control, cable television (55 stations), transportation, maintenance on all appliances and building including painting, flooring, changing filters, water, garbage, mowing, landscaping, etc. Meals are available in the care center for an additional charge. COME AND ENJOY the wonderful fellowship and relaxing atmosphere in The Village. Take advantage of the many opportunities to have a good time participating in the various activities, socials and excursions. The Village is also conveniently located minutes from stores, malls, hospitals, golf courses, beaches and restaurants. Above all, Sunshine Christian Homes is a place where Christ is honored, Christian principles are practiced, and Christian service abounds.